Had great stay there for 5 days and everything great. Staff is so kind, especially the lady in reception Sanja, she was so helpful and kind. The only reason I would stay with my family again at this hotel are the people employed at the hotel.Waiter Milan (I think) and the girls who works at the front desk (especially the girl who works in the morning shift) are really the heart of this place. They go extra miles, very helpful people and dedicated to work. Thank you for the hospitality guys!! !Thank you for keeping up with us.Also food was great ,we had a great time. Staff were friendly, good location, best to visit there during wenter. The staff at the reception desk, ski wardrobe and in the restaurant is impressively polite and helpful. Very good cleanliness, spacious bathroom. Excellent food at breakfast and dinner. Everything was fantastic. The staff are amazing, very helpful and friendly. They did their best to accommodate our requests and preferences. An individual from our group has multiple allergies and the entire hotel staff was aware of this fact and made sure to offer and prepare food to suit his requirements. The spa center is nice and open for long hours, making it easy to use at any time of day. The rooms are very clean and the kitchens are well equipped to suit any cooking requirements. There is a mini market just next to the hotel in case of last minute buys and the hotel is situated a bit further from the center and so is quite quiet and calm.. Lock in a great price for Apartments Foka Spa – rated 9.1 by recent guests! Apartments Foka Spa This rating is a reflection of how the property compares to the industry standard when it comes to price, facilities and services available. It's based on a self-evaluation by the property. Use this rating to help choose your stay! 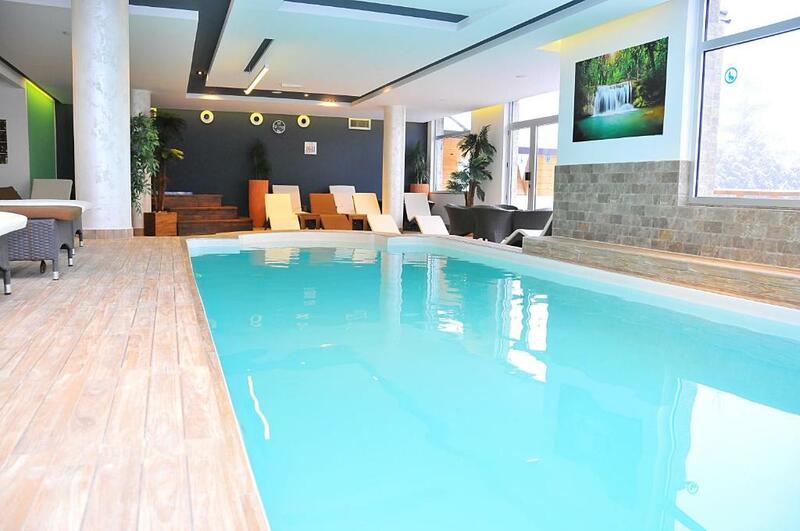 One of our top picks in Kopaonik.Located in Brzeće, Apartments Foka Spa offers an indoor swimming pool, a spa and a wellness center as well as self-catering accommodations with free WiFi access. Ski Center Kopaonik, as well as the Kopaonik National Park, are 9.9 mi away. At Apartments Foka Spa, all apartments feature a balcony and a seating area with a TV. Some also have a fireplace. The bathroom comes with a bathtub or a shower, free toiletries and a hairdryer. Each apartment has a fully equipped kitchen with kitchenware, an oven and a refrigerator. A restaurant and a shared lounge can also be enjoyed on site. 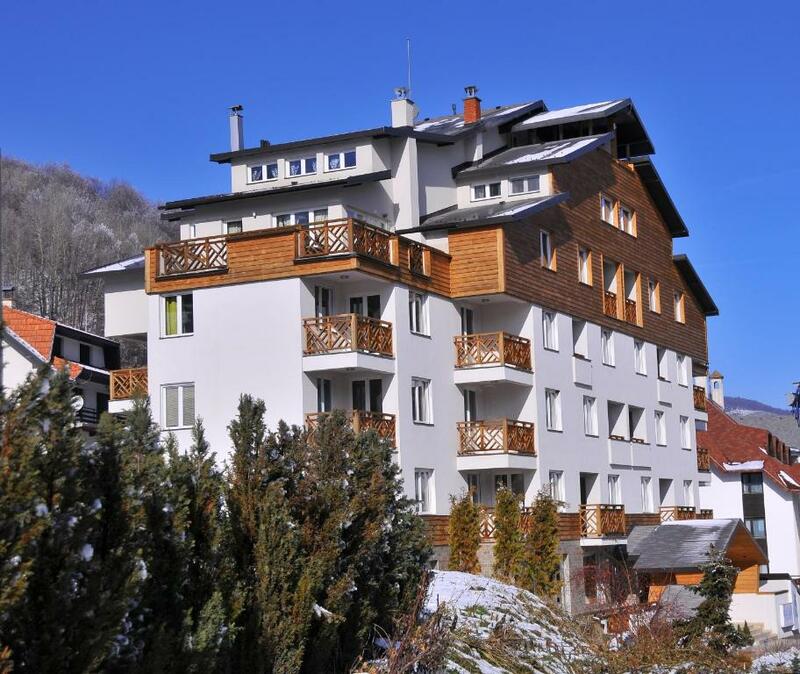 Guests can find a fitness center and ski storage facilities at the property. Free parking is available on site. When would you like to stay at Apartments Foka Spa? This apartment has a seating area, a balcony and a fully equipped kitchen. 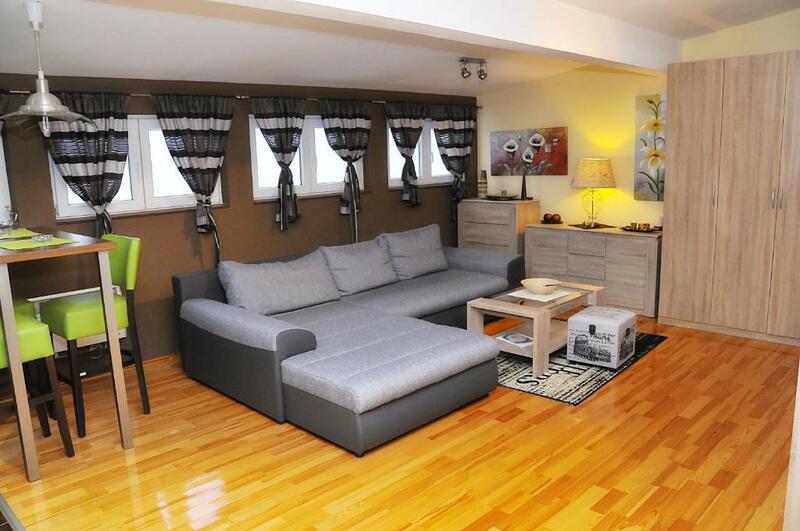 This apartment features a CD player, sofa and cable TV. FOKA SPA – Apartment Hotel that emanates in luxury and charm; with its comfort, and the abundant variety of services and facilities offered to our guests, has become a real alternative for people who love peace, quality and respect. From our luxuriously equipped apartments, stunning spa center, to the supermarket, ski shop, FREE WI-FI and parking, a well-known restaurant brand, and much more, are making the stay an exhilarating experience. 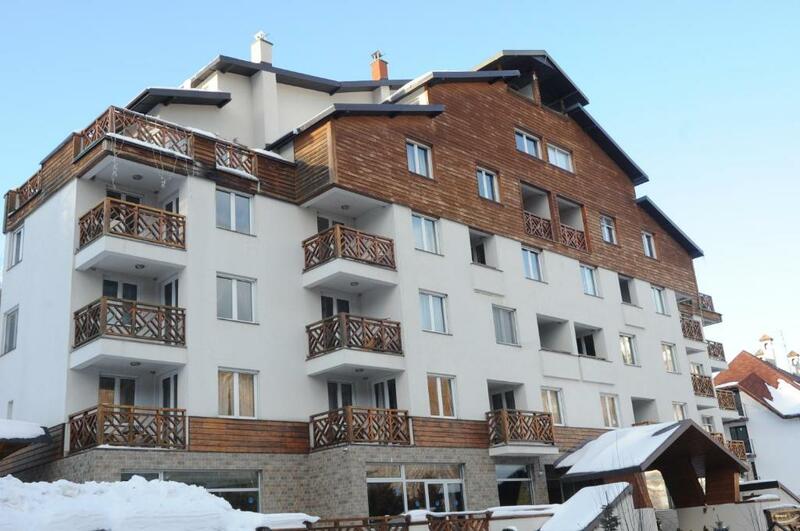 FOKA SPA is a genuine mountain resort that certainly has the best price to quality value in the Kopaonik ski area. Brzeće is a village in the municipality of Brus, Serbia. According to the 2002 census, the village has a population of 258 people. This village is popular with its rural hand-made art that can be seen by anyone passing by car on the road. 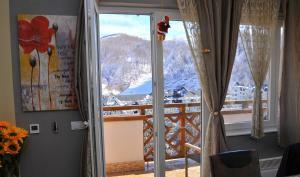 This tourist resort is located at the foot of the eastern side of mountain Kopaonik. At only 270 km from Belgarde, 100 km from city of Nis, and 18 km from center of Kopaonik, Brzece provides all conditions for rest and recreations. Tourist center Brzece has two ski lifts: Bela Reka I and Bela Reka II, connected with the top of Kopaonik, where skiers can include in ski system of Serbia. There is daily transportation from Brzece to Kopaonik, or some of many vacation area. House Rules Apartments Foka Spa takes special requests – add in the next step! Apartments Foka Spa accepts these cards and reserves the right to temporarily hold an amount prior to arrival. Please inform Apartments Foka Spa of your expected arrival time in advance. You can use the Special Requests box when booking, or contact the property directly using the contact details in your confirmation. Breakfast should be improved. It is not suitable for children. Few of the devices in the fitness room ware not working properly. They have to improve the quality of breakfast and dinner. The food do'nt have to be sophisticated, but various. For example, we have no vegetables at the breakfast. Variety of food, it should have more. The staff was very polite and helpful and friendly. Owners and personal data and the possibility to use them! Everything was fine! The bed was VERY uncomfortable so we ended up sleeping on the sofa. The food and breakfast was not appetizing at all. I think these are the only two issues with the place and can be solved easily. The hosts. The cozy rooms and restaurant. Very friendly staff. Loved it! I liked all. Domestic food, clean rooms, the staff. Even the weather was great for skiing. Definetly a place where I will come back again very soon. Our Appartement was very good. The breakfast as well and the service too! 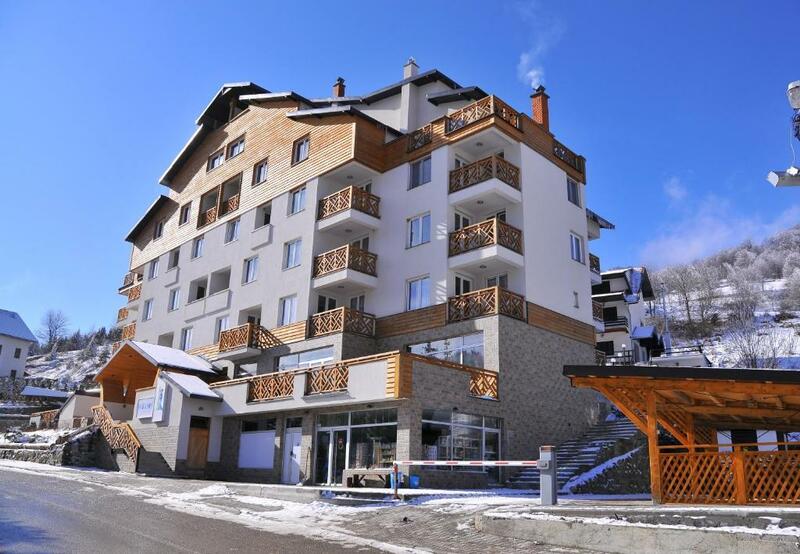 The service includes a shuttle to the ski-area (20 minutes ride) and the Spa was good as well! 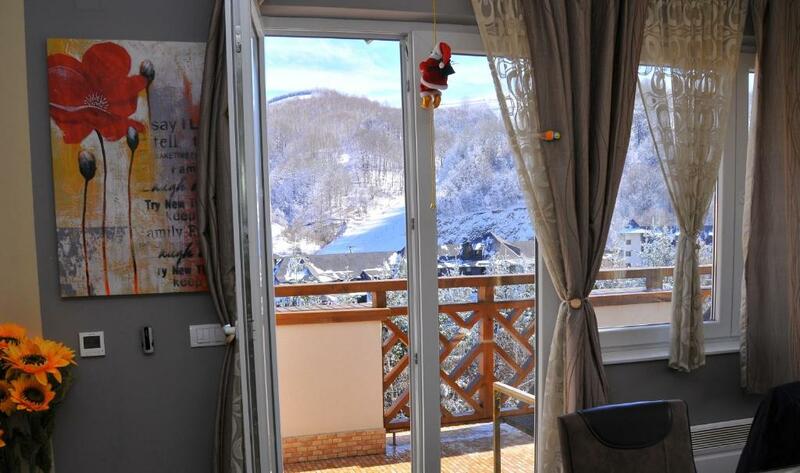 We enjoyed our stay and we can recommend this location for a visit in Kopaonik!